Login to Apps.com with your QuickBooks Account. 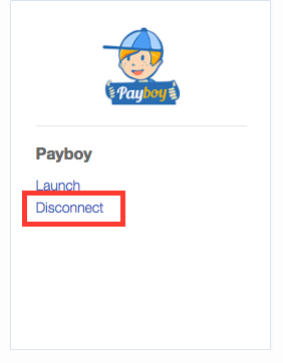 Find the Payboy Card and click on Disconnect button. 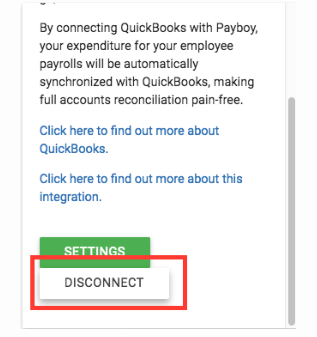 You will reach a page to tell you you have successfully disconnected and your OAuth Tokens to QuickBooks will be invalidated. You will be successfully disconnected and your OAuth Tokens to QuickBooks will be invalidated.